Diapason Voluntary (2014) is dedicated to Rebecca Davy. 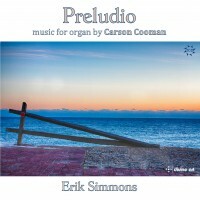 The work is inspired by English keyboard music of the mid 18th century (the Georgian era), exemplified in the organ voluntaries of John Stanley. As with many English voluntaries of that time, the work is in two parts: a slow section followed by a faster one. While the musical language alludes to the Georgian era, it also moves modally in ways that are more of the present time.